Every December, Prairie Business Magazine recognizes some of the most inspiring young business professionals in the northern Plains with a list of the top 40 professionals under the age of 40. After receiving over 200 nominations for Prairie Business Magazine’s Top 40 Under 40 listing, Cutler & Donahoe, LLP business attorney Alex Halbach was selected for inclusion on this year’s prestigious list. Alex caught the entrepreneur bug while working his way through law school by owning and operating a technology services company, COR Technologies, LLC. 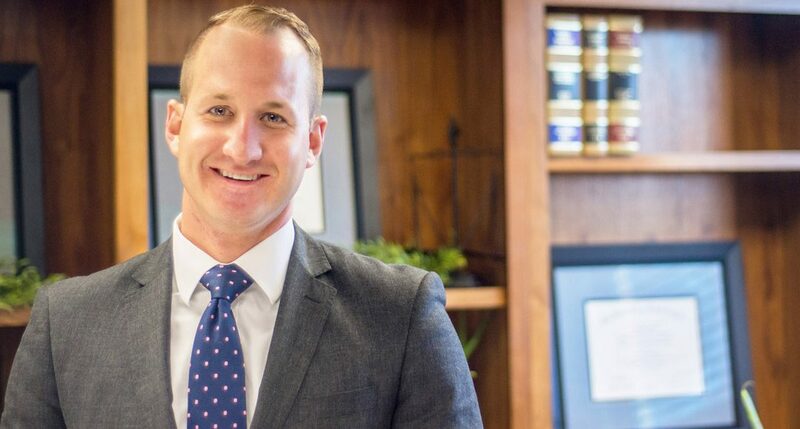 He continued to pursue his law degree along with a masters in business administration from the University of South Dakota, and turned a 2009 summer internship with Cutler Law Firm, LLP into a full time career upon graduation in 2010. In addition to his responsibilities as a business attorney, his entrepreneurial spirit led him to take on ownership of a struggling weight management service provider, The Ideal Weigh in 2012. The business has since been revitalized and expanded to include locations in Sioux Falls, Yankton and Brookings, South Dakota, and has helped launch a line of healthy, locally manufactured salad dressings carrying The Ideal Weigh name into local supermarkets and grocery stores, with additional growth on the horizon. Despite his many professional obligations, Alex remains actively involved with several non-profits in Sioux Falls. He serves as president of the Co-op Natural Foods board of directors and led the cooperative through a successful recovery process following a devastating building fire last winter, providing valuable expertise, leadership and positivity to all involved.